This lectureship was established in 2008 in honor of Professor Riley Schaeffer through contributions from UNM faculty, past students of Professor Schaeffer at Indiana University and UNM and friends and external colleagues. Dr. Cynthia J. Burrows is the Thatcher Distinguished Professor of Chemistry at the University of Utah and presently Chair of the Department of Chemistry. She was raised in St. Paul, Minnesota and Boulder, Colorado. Her early training was in physical organic chemistry with Prof. Stan Cristol at the University of Colorado (B. A. 1975) and Prof. Barry Carpenter at Cornell University (Ph.D., 1982), followed by a NSF-CNRS postdoctoral fellowship in the laboratory of Prof. Jean-Marie Lehn, Université Louis Pasteur, Strasbourg (1981-83). From 1983-1995, she was on the faculty at the Stony Brook University, before returning to the West to take a position at the University of Utah in Salt Lake City in 1995. The Burrows research group investigates the chemistry and biochemistry of modified bases in DNA and RNA with a focus on oxidative stress, an underlying component of age-related diseases such as cancer. The approach is multi-disciplinary involving the organic chemistry of base modification in DNA, the enzymology of polymerase bypass and DNA repair, biophysical studies of the effects of base modification, single-molecule studies of DNA and RNA in nanopores, whole-genome sequencing and cellular studies of synthetically modified oligomers. Prof. Burrows served as Senior Editor of the Journal of Organic Chemistry for many years and since January 2014 is Editor-in-Chief of Accounts of Chemical Research. She is a past recipient of the Robert Parry Teaching Award and the University Distinguished Teaching Award; her research was recognized with the ACS Utah Award, ACS Cope Scholar Award, and the University of Utah’s Distinguished Creative and Scholarly Research Award; she is also the 2018 recipient of the James Flack Norris Award in Physical Organic Chemistry. She was inducted into the American Academy of Arts and Sciences in 2009 and elected to the National Academy of Sciences in 2014. CHeck out the lecture. Dr. Thomas E. Mallouk is Evan Pugh Professor of Chemistry, Biochemistry and Molecular Biology, Physics, and Engineering Science and Mechanics at the Pennsylvania State University. His research focuses on the synthesis of inorganic materials and their application to solar energy conversion, catalysis and electrocatalysis, nano- and microscale motors, low dimensional physical phenomena, and environmental remediation. 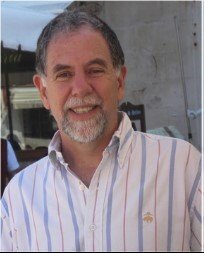 He is the author of over 400 publications, including a few good ones. 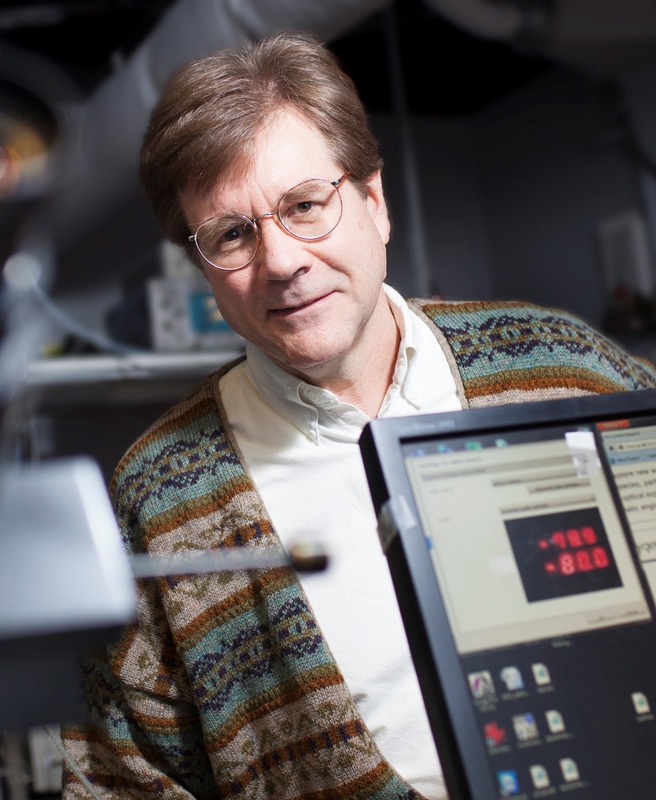 He is an Associate Editor of the Journal of the American Chemical Society and Associate Director of the Penn State MRSEC, the Center for Nanoscale Science. John F. Hartwig was born outside of Chicago in 1964 and was raised in upstate New York. He received a B.A. degree in 1986 from Princeton University, and a Ph.D. degree in 1990 from the University of California,Hartwig Berkeley under the collaborative direction of Robert Bergman and Richard Andersen. After an American Cancer Society postdoctoral fellowship with Stephen Lippard, he began an appointment at Yale University in 1992, where he was an Assistant Professor, Associate Professor, and then full Professor until 2004. In 2004, he was named the Irénée P. duPont Professor of Chemistry. In August of 2006, Professor Hartwig moved to the University of Illinois Urbana-Champaign, where he was named the Kenneth L. Rinehart Jr. Professor of Chemistry. In August 2011, Professor Hartwig moved to his current position on the faculty at the University of California, Berkeley, where he is the Henry Rapoport Professor of Chemistry. Thomas J. Meyer rejoined the faculty of the University of North Carolina at Chapel Hill as Arey Professor of Chemistry on July 1, 2005. He is Director of the UNC Energy Frontier Research Center on Solar Fuels. 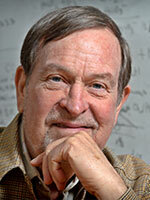 In 2000 he was named Associate Director for Strategic Research at the Los Alamos National Laboratory in New Mexico. In that position, he oversaw research in support of nuclear weapons, threat reduction, and energy and environmental programs and was the LANL lead for economic development, intellectual property, and DOE programs in Science, Energy Efficiency and Renewables, and Nuclear Energy. He also served as the LANL liaison in these areas to the US Department of Energy and to the US Congress. From 1994 to 1999, he was Vice Chancellor for Graduate Studies and Research at UNC-CH where he oversaw a graduate and professional student program of over 8000 students and a research portfolio of > $300 million. He led planning efforts that resulted in campus wide initiatives in genomics and bioinformatics, Arts Carolina, The Center for the Study of the American South, and others. As a UNC liaison with the North Carolina Legislature he initiated efforts that led to $12 M in enhanced graduate tuition student support, return of overhead to the campuses from the NC General Fund, and initiated planning for construction that ultimately led to a bond issue passed by the citizens of North Carolina in 2000. After receiving a BS from Ohio University in 1963 Meyer received a Ph.D. from Stanford in 1966 with Henry Taube, who won the Nobel Prize for Chemistry in 1983, as his research mentor. He was a NATO postdoctoral fellow at University College, London in 1967 with Sir Ronald Nyholm, joined the faculty at UNC in 1968, was promoted to Associate Professor in 1972, Full Professor in 1975, Smith Professor in 1982 and Kenan Professor in 1987. He was the Head of Chemistry from 1985 to 1990, Chair of the Curriculum in Applied Sciences from 1991 to 1994 and Vice Chancellor/Vice Provost for Graduate Studies and Research from 1994 to 1999. He served on the North Carolina Board of Science and Technology, the Executive Committees of the North Carolina Biotechnology Center, the Research Triangle Institute, the Triangle University Center for Advanced Study Inc., and on the Board of Associated Universities Inc. 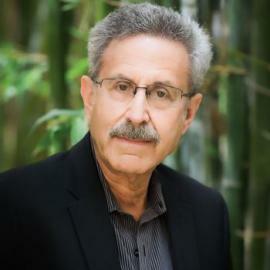 He has served on the Boards of the Mind Institute, the International Informatics Society, the National Center for Genome Research, the Coronado Ventures Forum, the Science and Technology External Advisory Committee for Sandia National Laboratory and the Commission on Higher Education for the State of New Mexico and Chair of the Scientific Advisory Board for the Center for Revolutionary Solar Photoconversion (Colorado). He was awarded the Order of the Long Leaf Pine for service to the State of North Carolina in 1999, the Porter Medal in 2012, the Honda-Fujishima Lectureship Award in 2013, and most recently the 2014 Samson Prime Minister's Prize for Innovation in Alternative Fuels for Transportation. Meyer is a member of the National Academy of Sciences and the American Academy of Arts and Sciences and has won many prizes for chemical research. His research has been notable for pioneering, innovative discoveries in chemical reactivity and applications to important problems in chemistry and energy conversion. This includes the first examples of: excited state electron transfer with implications for energy conversion (with D.G. Whitten, 1974), excited state electron transfer in a chromophore-quencher assembly (1978), polypyridyl Ru oxo complexes (1978), discovery of proton coupled electron transfer (PCET, 1981), vinyl polymerization of metal complexes (with R.W. Murray, 1981) molecular catalyst for water oxidation (1982), application of the energy gap law to metal complex excited states (1982), chemical approaches to artificial photosynthesis (1989), first interfacial catalyst for CO2 reduction (1989), Dye Sensitized Photoelectrosyntheis Cells (DSPEC, 1999), experimental elucidation of the localized-to-delocalized transition in mixed-valence molecules (2001), Modular Approach to Artificial Photosynthesis (2005), first characterized solution and interfacial single-site catalysts for water oxidation (2008-2010), and a working DSPEC for solar water splitting (2013). He has published over 700 papers, holds five patents, and is one of the most highly cited chemists in the world. 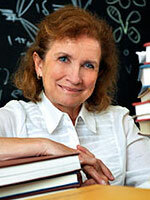 Professor Marcetta Y. Darensbourg is a native of Kentucky, USA, with a Ph.D. from the University of Illinois. Following academic posts at Vassar College and Tulane University, she joined the faculty at Texas A&M University, College Station, TX, in 1982. She holds the title of Distinguished Professor of Chemistry. Trained as an organometallic chemist and with earlier research programs in low valent transition metal hydrides, the possibility of metal hydrides in nature, specifically as intermediates in hydrogenase metalloenzymes lured her into the new field of bioorganometallic chemistry. She has been a leader in the development of synthetic analogues of the diiron hydrogenase active site and the insight they bring to the catalytic mechanism of these natural fuel cell catalysts. 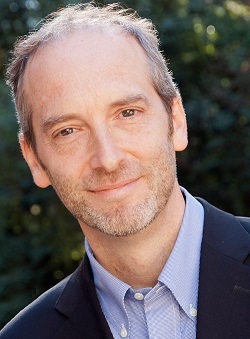 Professor Edward I. Soloman is a Monroe E. Spaght Professor in the School of Humanities and Sciences and Professor of Photon Science at Stanford University. Profe ssor Edward Solomon’s research spans the fields of physical-inorganic, bioinorganic, and theoretical-inorganic chemistry. His work focuses on spectroscopic elucidation of the electronic structure of transition metal complexes and its contribution to reactivity. He has developed new spectroscopic and electronic structure methods and applied these to active sites in catalysis. He has made significant contributions to our understanding of metal sites involved in electron and oxo transfer, copper sites involved in O2 binding, activation and reduction to water, in structure/function correlations over non-heme iron enzymes, and in the correlation of biological to heterogeneous catalysis. Edward I. Solomon grew up inNorth Miami Beach, Florida, received his Ph.D. at Princeton (1972) and was a postdoctoral fellow at The Ørsted Institute in Denmark and at Caltech. He started his career at MIT in late 1975, became a full professor in 1981, and joined the faculty at Stanford in 1982 where he is now the Monroe E. Spaght Professor of Humanities and Sciences and Professor of Photon Science at SLAC National Accelerator Laboratory. He has been a visiting professor in France, Argentina, Japan, China, India, Australia and Brazil. He has received ACS National Awards in Inorganic Chemistry, Distinguished Service in the Advancement of Inorganic Chemistry, the Alfred Bader Award in Bioinorganic or Bioorganic Chemistry, the Ira Remsen Award, and the Kosolapoff Award, the Centenary Medal from the Royal Society of Chemistry (UK), the Wheland Medal from the University of Chicago, the Bailar Medal from the University of Illinois, the Frontiers in Biological Chemistry Award from the Max-Planck- Institute (Mülheim), the Chakravorty Award from the Chemical Research Society of India and the Dean’s Award for Distinguished Teaching at Stanford among others. He is a member of the National Academy of Sciences, the American Academy of Arts and Sciences and a Fellow in American Association for the Advancement of Science and in the American Chemical Society. 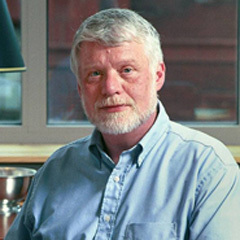 Peter Remsen Ogilby was born on April 9, 1955 in Manila. Son of Lyman Cunningham and Ruth (Dale) Ogilby. came to the United States, 1967. He received a Bachelor from the University of Wisconsin in 1977 and a Doctor of Philosophy from the University of California at Los Angeles in 1981. He is a member of: the American Chemical Society, the American Physical Society, the American Society for Photobiology, the Danish Chemical Society, and Sigma Xi. He wasan Associate Professor at the University California, Berkeley from 1981 to 1983 an Assistant Professor of Chemistry (1983 to1989), an Associate Professor (1989 to1993), and a Professor (1993 to 1996) at the University New Mexico, Albuquerque. He has been the Professor's chair in Physical Chemistry at Aarhus University since 1996. Dr. Harry B. Gray received his B.S. in Chemistry from Western Kentucky University in 1957. He began his work in inorganic chemistry at Northwestern University, where he earned his Ph.D. in 1960 working under Fred Basolo and Ralph Pearson. He was initiated into the Upsilon chapter of Alpha Chi Sigma at Northwestern University in 1958. After that, he spent a year (1960–61) as an NSF Postdoctoral Fellow at the University of Copenhagen, where, along with Walter A. Manch, he collaborated with Carl J. Ballhausen on studies of the electronic structures of metal complexes. After completing his NSF Postdoctoral Fellow at the University of Copenhagen, he went to New York to take up a faculty appointment at Columbia University. He became an assistant professor from 1961 to 1963, associate professor from 1963 to 1965 and professor from 1965 to 1966. In 1966, he moved to the California Institute of Technology, where he became the Arnold O. Beckman Professor of Chemistry and founding director of the Beckman Institute. Professor Tobin Jay Marks was born November 2Marks5, 1944 is the Vladimir N. Ipatieff Professor of Catalytic Chemistry and Professor of Material Science and Engineering, Department of Chemistry, Northwestern University. Marks received his B.S. from the University of Maryland in 1966 in Chemistry, which is part of the University of Maryland College of Computer, Mathematical, and Natural Sciences. Then he received his Ph.D. from the Massachusetts Institute of Technology in 1971. He came to Northwestern University in the fall of 1970. As of April 2009, Marks has mentored over 100 PhD students and nearly 100 postdoctoral fellows. More than 90 of these alumni hold academic positions worldwide. He has published over 1245 research articles and holds 260 patents. Among the themes of his research are synthetic organo-f-element and early-transition metal organometallic chemistry, polymer chemistry, materials chemistry, homogeneous and heterogeneous catalysis, molecule-based photonic materials, superconductivity, metal-organic chemical vapor deposition, and biological aspects of transition metal chemistry. His h-index is 141. Professor Larry Sneddon received his undergraduate education at Centenary College of Louisiana before carrying out his graduate studies in boron hydride chemistry with Professor Riley Schaeffer at Indiana University. After obtaining his Ph.D. in 1971, he held postdoctoral appointments with Professor Russell Grimes at the University of Virginia and Professor Richard Lagow at the Massachusetts Institute of Technology. In 1974 he moved to the University of Pennsylvania where he is presently the Blanchard Professor of Chemistry. His research program at Penn has encompassed both inorganic chemistry and materials science, and has included the syntheses and properties of organometallic and main-group compounds; inorganic polymers and solid state materials; organometallic and inorganic catalysis; the design, syntheses, and applications of chemical precursors to advanced ceramic materials; nanostructured ceramics; ultra-high temperature materials for aerospace applications; and, most recently, the development of new methods for hydrogen storage. The inaugural R. Schaeffer Lecture was presented by Professor Carlos J. Bustamante of the Departments of Chemistry, Physics and Molecular and Cell Biology at the University of California, Berkeley on October 31, 2008. Professor Bustamante was the first Assistant Professor hired by Professor Schaeffer when he joined the UNM Chemistry Department as Chairperson in 1981. The title of Professor Bustamante's lecture was "Grabbing the Cat by the Tail: Following the Packaging of DNA by a Tailored Phage, One Virus at a Time." A colorful pictorial representation of the process is shown here. Carlos Bustamante received a B.S. degree from Cayetano Heredia University in Lima, Peru, a Masters in Biochemistry from San Marcos University, and a Ph.D. in Biophysics in 1981 from the University of California, Berkeley. His first academic appointment was as an Assistant Professor in the Department of Chemistry at the University of New Mexico beginning August, 1982. He was awarded a Searle-Scholarship in 1984 and he received an Alfred P. Sloan Fellowship in 1985. He was tenured and promoted to Associate Professor in 1986. In 1986 he was appointed as a UNM Presidential Lecturer, and in 1989 he was named a State of New Mexico Eminent Scholar and promoted to the rank of Professor. In 1991 he joined the faculty at the University of Oregon as Professor of Chemistry. Since 1994, Dr. Bustamante has held an appointment as a Howard Hughes Medical Institute Investigator. In 1998, he became the director for the Advanced Microscopies Department at Lawrence Berkeley National Laboratory, and a Professor of Physics, Chemistry, and Molecular & Cell Biology at UC Berkeley. His research interests include single molecule manipulation methods and their application for the investigation of various biochemical processes: torque measurements on single DNA molecules, reversible folding of single RNA and protein molecules by force, and the mechanochemistry of nucleic-acid binding molecular motors. He was nominated as America's Best in Time magazine (2001), received the Biological Physics Prize of the American Physical Society (2002), and accepted the Alexander Hollaender Award in Biophysics from the National Academy of Science (2004). He also received the Hans Neurath Prize of the Protein Society (2004), the Richtmyer Memorial Lecture Award by the American Association of Physics Teachers (2005), and an Honorary Doctorate (Honoris Causa) from the University of Chicago (2005). Dr. Bustamante has given well over 400 presentations and lectures and has published over 200 papers in several journals such as PNAS, Nature, Science, and Cell. He has served as a member of the Science Advisory Board of the Searle Scholars Program and he is currently a member of the National Academy of Sciences. He has also served in the Science Advisory Committee of the Burroughs-Wellcome Fund, and is on their Board of Directors. Dr. Bustamante holds several other advisory roles within the University of California, Berkeley and the larger scientific community.